Successfully Added Bluetooth Watch Foxwear - Pedometer, Calories Burned, Sleep Monitor, Call Reminder, Sync With Bluetooth Headset, 220mAh Battery to your Shopping Cart. With this Bluetooth watch from Foxwear, you’ll be able to enjoy your favorite songs anywhere you go. Simply pair it with your iOS or Android smartphone, and you’ll be able to access your music library and more. Thanks to its Bluetooth 4.0 support, you’ll be treated with ultra-fast transmission speeds. This will result in a smooth and lag free user experience that allows you to take the most out of the features this smart watch has to offer. 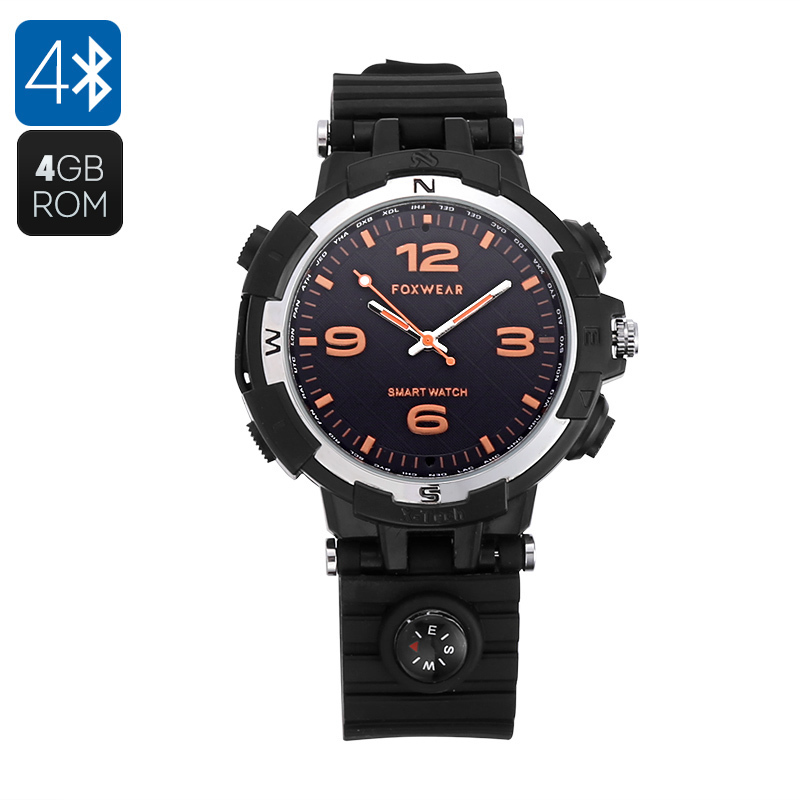 With its 220mAh battery, your Bluetooth watch brings along plenty hours of usage time. Therefore, you’ll be able to use it through multiple days without needing to worry about running out of juice. When synchronized with your cell phone, this Bluetooth watch does not only allow you to play music but also treats you to an abundance of health and fitness features. A pedometer is in place to keep accurate track of the total number of steps you took throughout the day. Additionally, it will show you the distance that you have covered and the number of calories burned. With this smart health feature at your side, the sports watch makes sure that you’ll always meet your daily exercise levels. To make sure that you get enough rest in between your workouts, your Bluetooth watch features a sleep monitor. From now on, you’ll always get the proper amount of rest to make sure your muscles will recover and grow in the fastest way possible. Naturally, this Foxwear Bluetooth watch can also be used as a regular clock as it shows you the time on its stylish digital display. With its sleek and beautiful design, this watch can be worn with confidence at any occasion. Whether you simply use it to check on the time, to listen to music, or to enjoy its sports features – this smart watch is sure to meet your demands. Additionally, your Bluetooth watch will show incoming call and message notifications. Therefore, you can be guaranteed that you’ll never miss out on an important update again.